So Seviks experiments and discussion are not directly applicable to Current Baluns, yet they are cited by manufacturers, sellers, and users as rationale for their designs using nickel-zinc ferrites for Current Baluns. 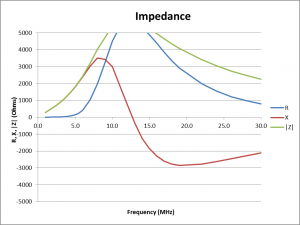 This is not to say that the choice might not be appropriate for some applications, but Sevick’s analysis does not provide compelling evidence to overlook manganese-zinc ferrite which is not only cheaper, but may deliver a better balun, one that reduces common mode current more effectively and reduces that current sufficiently that the Icm^2*Rcm product is lower than for a practical nicke-zinc ferrite core. 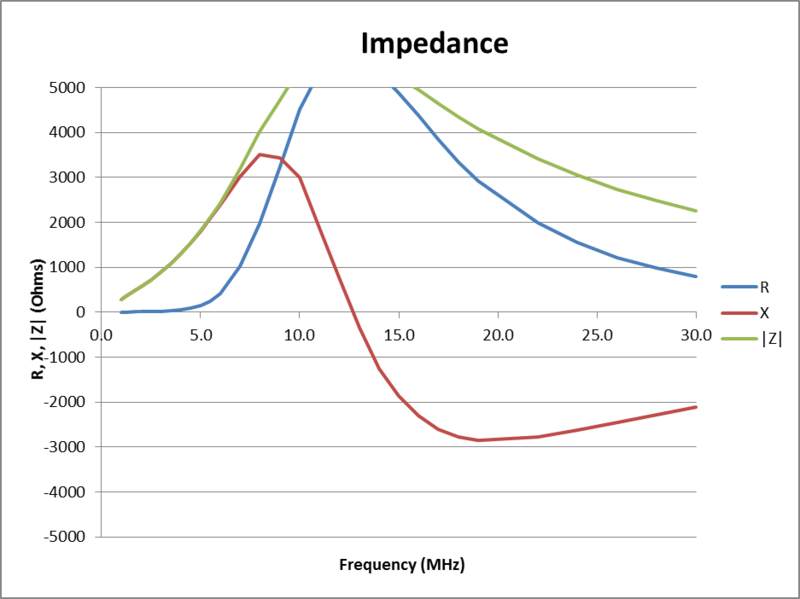 Following are models of Guanella 1:1 current balun choking impedance using three cores of two different core types. 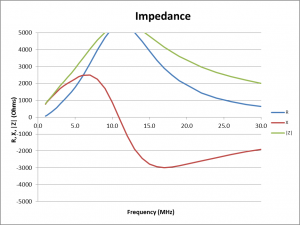 At the high frequency end, there isn’t much to choose from the first two, they are fairly similar. 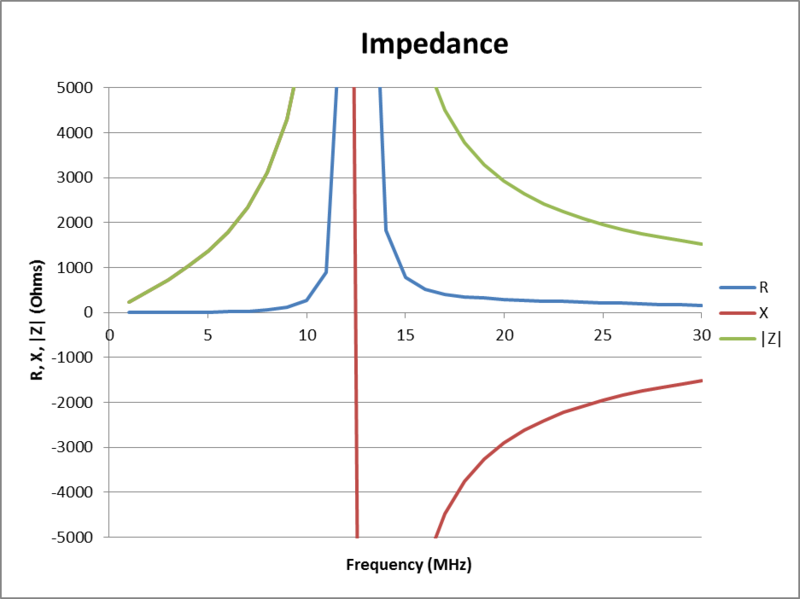 At the low frequency end, the #43 balun has higher choking impedance and that would suggest it is likely to be more effective in reducing common mode current but you need to know Icm^2 in the specific scenario to calculate core losses. 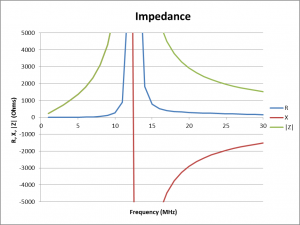 It is true that the R term of Z for the #52 mix is lower at 3.6MHz than #43, and that will tend to give lower losses, you need to know Icm^2 in the specific scenario (which will probably be higher) to find the core losses. 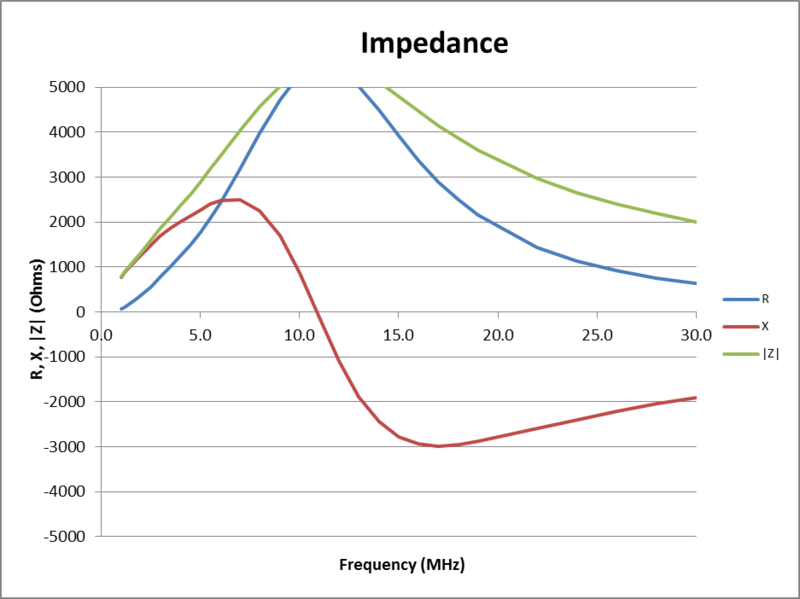 The curves for #61 show that its Rcm is lower, but even with 15t, its choking impedance is low and narrower band than the others and whilst some would regard the core material’s lower loss a feature, it is less suited to a broadband HF balun application. Sevick, J. 2001. Transmission line transformers 4th Ed. Noble Publishing Co.